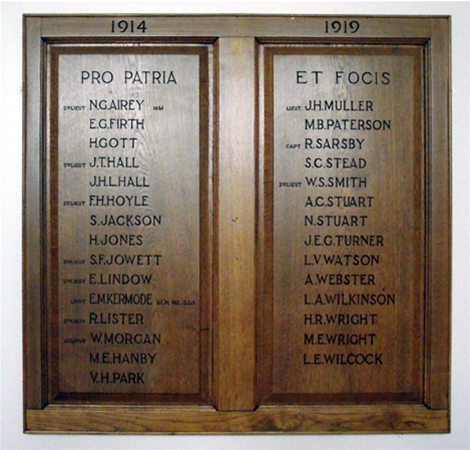 The Roll of Honour was taken from the old school and restored before being put up in the new hall. A similar plaque commemorating the 1939-45 war is on the opposite wall. The names have been listed in alphabetical order to ease searching.